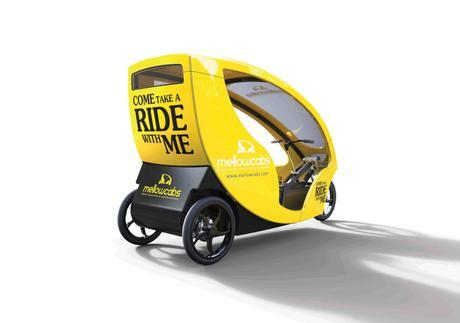 Mellowcabs designed by IDESO features in Press Reader. 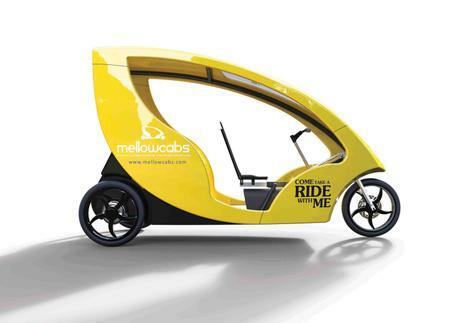 Team IDESO are proud to be the design partner for the development of the new Mellowcab, an official World Design Capital 2014 project. 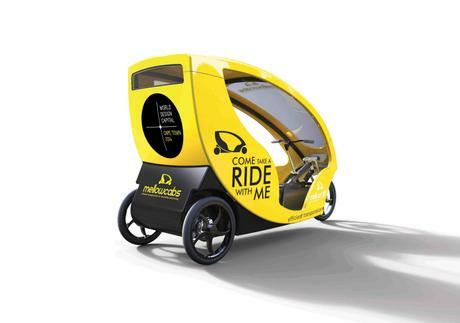 The new Mellowcab is a high-tech electric mini taxi that functions as a public transportation device, providing first and last mile transport services. 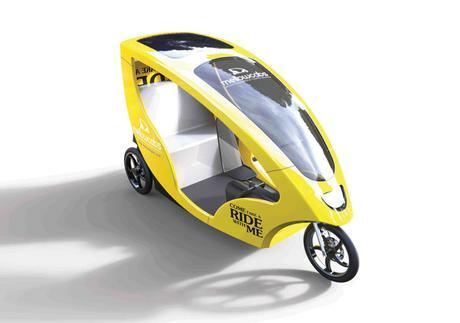 The main source of income is not in carrying passengers but selling advertising space on and in the vehicles. 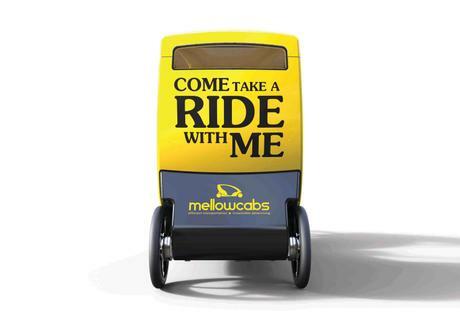 Mellowcabs is designed to be light, very safe, extremely visible, and to offer optimum advertising space on an aesthetically pleasing design. 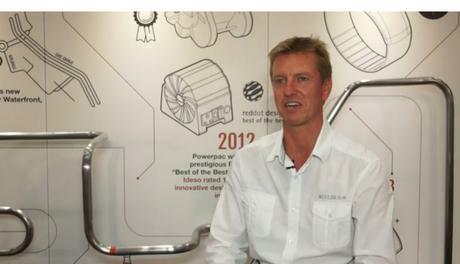 Marc Ruwiel Interviewed during the Design Indaba. This is where we post our news, views, ideas and general happenings. 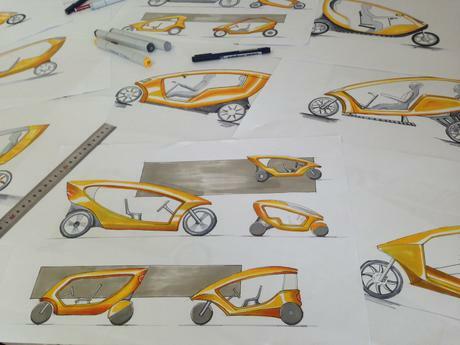 © Industrial Design Solutions, 1998-2016.